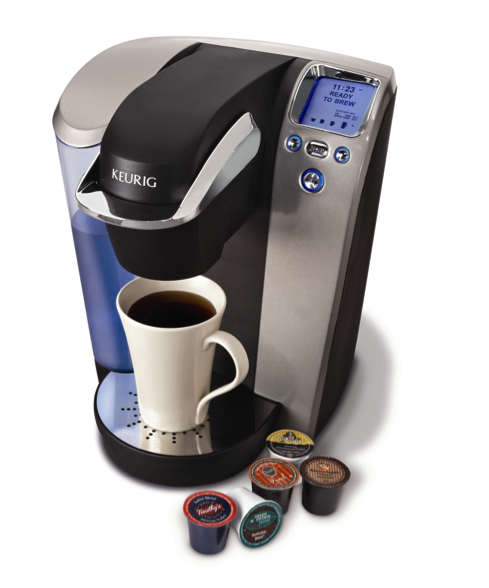 Keurig has claimed the top spot in North America. Even though Americans are known for loving their Big Gulps and venti sized morning drinks, the company with the tiny cup is leading the way. It seems like the popularity of Keurig’s pint sized coffee pods has fueled their 18% market share, even though it looks like they could be environmentally iffy. The rest of the world apparently hasn’t caught Keurig fever yet, because instant coffee doled out by Nescafe has been reigning supreme. But it doesn’t seem as though Keurig is really worried about the lukewarm global reception because they haven’t been making their presence known. The biggest development in the past while has been that Coke is trying to cool things down with a machine that supposedly makes colder fizzy drinks. Why not? Unless the tree huggers have their way, Keurig’s niche looks like it’s stuck in North America with cross brand deals from the likes of Folgers and Dunkin’ Donuts. Maybe Keurig’s strategy is just to be in bed with its competition and quietly take the American dollars off the dresser in the morning. There just isn’t any reason to fix something that isn’t broken. Way back when in 2008, Keurig was selling 1% of America’s retail coffee and now they’re up to almost 19%. Slow and steady wins the race and Keurig realizes that markets in Latin America and Europe are bogged down in regional brands that look pretty unassailable. But even though the world hasn’t woken up and smelled Keurig’s coffee, I think they’ll live to see another morning. Good things do come in small cups.